If a problem occurs with your mobility product the last thing you want to be handed is a hefty repair bill, which is why it’s advised you purchase an insurance policy. Designed to leave you with peace of mind, insurance cover is the best way of protecting your product should anything go wrong, leaving you safe in the knowledge that you’ll receive the best care and help to fix any faults. By working in partnership with Premier Care we're able to provide insurance cover for a wide range of items, including mobility scooters, wheelchairs and powerchairs, with your policy helping to cover the costs of recovery, repairs and replacement, as well as compensation claims should you be involved in an accident. With over 21 years of experience providing top quality care to its customers, Premier Care is a company you can trust. 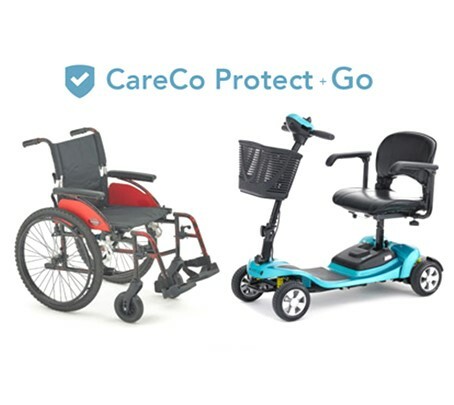 All mobility scooters sold through CareCo include three months free insurance to help you get going straight away. Furthermore, every product sold through CareCo includes a 12-month manufacturer’s warranty, should mechanical/electrical breakdown occur. Riser recliners are expensive pieces of equipment, which is why it’s important you protect yours. Established in 1915, with over 100 years of service to the public, Guardsman are dedicated to protecting and caring for your fabric and leather furnishings. We offer two levels of Guardsman 5 Year Protection Plans so you’re sure to find one to suit your budget. Accidental damage - tears, rips, burns etc. Accidental stains - drinks, ink, paint etc. What products do we provide insurance for? Insurance policies are available for mobility scooters, wheelchairs and powerchairs. 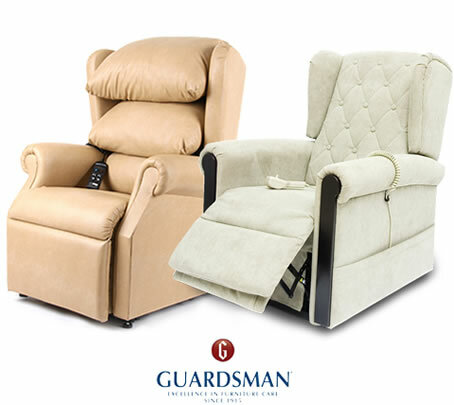 Guardsman Protection Plans are available for riser recliner chairs. All products sold by CareCo include a 12-month manufacturer's warranty. If you've discovered a problem with your mobility aid just give our customer service team a call on 0845 611 8022. You’ll be asked a series of questions to diagnose the problem and to evaluate if there is anything we can assist you with over the phone. If the problem requires specialist help we’ll then arrange for a qualified technician to repair the fault. Does it matter how old my product is? All aids sold by CareCo include a 12-month warranty. If you’re still within your warranty period and wish to extend it you can do so by calling our sales team on 0800 111 4774. If you find your product is outside of its warranty period we can still help you out, just give us a call. If you own a mobility scooter, powerchair or riser recliner why not take out one of our service plans? Available from only £199, a service include a 6-month product inspection and annual service performed by a trained technician. We can also arrange for a one-off service for you (charges apply). Available from only £199, a service includes a 6-month product inspection and annual service performed by a trained technician. We can also arrange for a one-off service for you (charges apply). Insurance policies are the best way of protecting your mobility aid should anything go wrong (damage, breakdowns, theft, vandalism) and provide a source of financial help to cover the costs of repair or replacement. Available for New, Used or Recon products, you can also choose between Standard or Plus cover, as well as the time span of your policy.